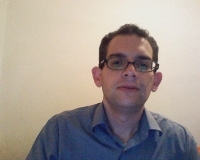 I am web developer in Greece with many years of experience in custom software that can meet any business challenge. I can evaluate and implement tech solutions that will be the most effective for your business, taking under consideration, tight budgets and time sensitive tasks in each project seperetaly. During all these years i have created software for online stores, real estate and marketing. In the past i designed SaaS application and products with serverless archtecture, using Amazon Web Services that handle any kind of workload. The use of frameworks is nessecary to avoid working on trivial tasks and focus on the business characteristics of your web application. We can manage vps, dedicated servers, automate various admin tasks and use services like AWS and Heroku to run web applications. All modern applications use apis to exchange data, we can connect any api that use basic protocols such as soap, rest, rpc. In large projects quality assurance and automated testing is necessary to avoid bad user experience this can be done by using functional, acceptance and unit tests. I can work alone and as a part of a team, always i use source control software to manage our codebase and deploy the code staging and production environments. We like to work with open source software and especially with established tools like cms and eshop that have been created on php language. Msc Mathematical Modelling in Modern Technologies and Financial Engineering. We like to work on projects with new and innovative ideas and by combining previous experiences, somehow we know what works and what doesn't. If you want to find a web developer business partner just contact me.